In addition to the name change, Children’s Miracle Network Hospitals updated its familiar balloon logo to reflect the clean, simple and fresh personality of the new image. Rebranding efforts were led by the Cincinnati office of Landor, a brand consulting and design firm, who took on the pro-bono project to make it stand out among other charitable brands. The new brand was created with the help of Children’s Miracle Network Hospitals’ Board of Trustees and Board of Governors, each comprised of hospital CEOs, hospital foundation leaders, sponsor representatives, business professionals and media experts. 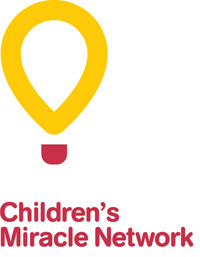 Children’s Miracle Network Hospitals’ Canadian partners will continue to operate under Children’s Miracle Network but will adopt the new balloon logo.